В этом томе содержатся рекомендованные величины, показания и дозирования лекарственных средств на 55 перечисленных в Международного медицинского руководства для судов, 3-е издание. small boats and private craft with crews of 15 or less, and usually travelling no more than a few hours from a port of call (Category C). These quantities have been updated to reflect the decrease of crew numbers on most ships and calculated voyages on one month. 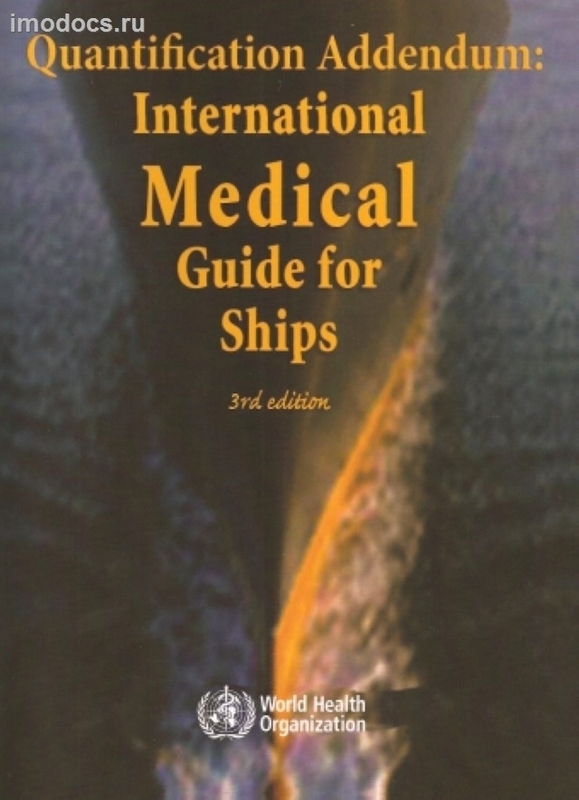 This companion volume to the International Medical Guide for Ships provides essential guidance to all those who are involved in the procurement, purchasing, stock maintenance and use of medicines to promote and protect the health of seafarers worldwide.